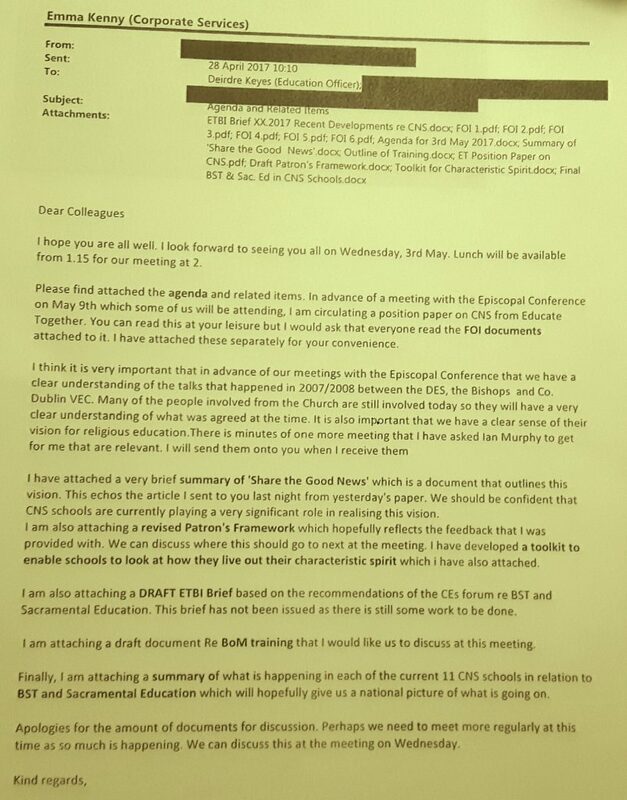 An internal letter from the ETBI, in advance of a meeting with the Catholic Bishops in 2017, shows the extent to which the ETBI wanted to facilitate Catholic Church teaching in State-run Community National Schools. Atheist Ireland obtained the letter under the Freedom of Information Act. The letter refers to meetings ten years earlier in 2008, between the Catholic Bishops, the Department of Education, and the then Dublin VEC. It reminds those attending the upcoming meetings that many of the people involved from the Church are still involved today and have a very clear understanding of what was agreed at the time. It says that it is important that ETBI has a clear sense of the Catholic Bishops’ vision for religious education, as outlined in the Catholic policy document ‘Share the Good News’, and it says that the ETBI should be confident that CNS schools are currently playing a very significant role in realising this vision. 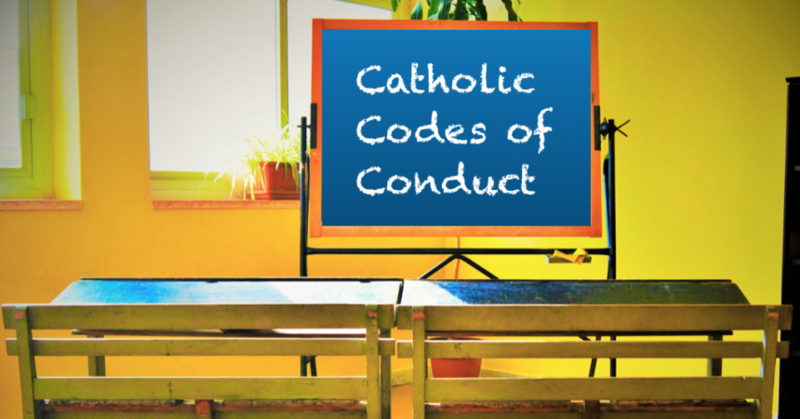 Since then CNS schools have moved what they describe as faith formation to outside the school day, but some of the learning outcomes of the CNS religious education course, Goodness Me Goodness You, have been changed from understanding religious codes of conduct to respecting them. This internal letter shows the mindset of the people running the ETBI in 2017, and how close and longstanding is the relationship between the ETBs and the Catholic Church. This mindset and relationship is still evident in the lobby by the ETBs and the Catholic Church against last year’s Circular Letter that would have given an alternative timetabled subject to students who opted out of any religion classes in ETB schools. Note: This article was updated in March 2019, as the original headline created the impression that the quote from the letter was in the present tense. I would like to congratulate you on the great work you have done to expose the Irish oligarchy who are abusing the power the state gave them and waging systamatic war against our education, schools, diversity, democracy and dignity. Last September I presented a paper on the paradox of NCCA in society and the belief in opportunity for all which shows the extent to which the NCCA disguises the ills of society built upon greed, dictatorship and injustice. It is still required though more hard work to regain our freedom, justice & decency.